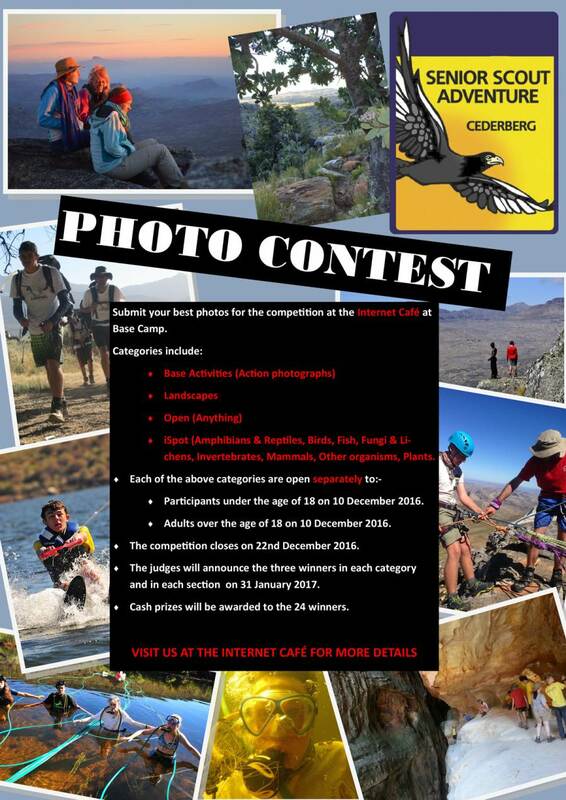 Submit your best photos for the competition at the Internet Café at Base Camp. iSpot (Amphibians & Reptiles, Birds, Fish, Fungi & Lichens, vertebrates, Mammals, Other organisms, Plants. Participants under the age of 18 on 10 December 2016. Adults over the age of 18 on 10 December 2016. The competition closes on 22nd December 2016. The judges will announce the three winners in each category and in each section on 31 January 2017. Cash prizes will be awarded to the 24 winners.